First contacted Gary to power wash and re-stain our back deck, but added a very long list of additional items including: fixing handles on doors, caulking around tub, repair and paint drywall, snake tub and sink, re-ground front entry, caulk around kitchen sink, repair screen door, paint front entry door, paint shudders, paint awning above side door, re-paint iron railings, power wash sidewalks. Gary was great. Just what we needed! He was able to do the work right away (we were getting ready for a party). He stuck to the quote that he gave us even though some of the work took longer than expected. We had used other handyman services in the past and each time felt that we were paying an arm and a leg for the work because we were charged hourly for two men plus additional charges for the supplies. We were almost always charged more than the quote because the work would take longer than expected. We really appreciated the quote being on target with Gary! All of his work has turned out great. We are very pleased and and will certainly have him back in the future! So you’d think that not having a working oven, a front door that was lockable or a rod in your closet to hang your clothes on, would be enough to get your landlord to get a handyman over pronto. Not mine. After a few calls, emails and not-so-nice messages to said landlord, we called Gary. He answered the phone which was an alarming change of pace in comparison, came out the next day and fixed everything in what seemed like no time at all after how long we had waited on our landlord. He was pleasant, our dog liked him (he can sense evil) and the bill for all of the above seemed more than reasonable to me. I would have paid double just to not have to endure the hassle of dealing with my landlord. And now I get to send my landlord the bill and I get to lock my front door again. Man, I love it when everybody wins. I contacted Gary last week via e-mail, he responded the same day. He came over today to fix our bathroom vanity and do some patch work. He was on time, super courteous, our dog loved him, and was very reasonably priced. We will absolutely use he’s services again. He was wonderful! I kinda want to break things around my apt just so Gary can come back…he’s that good. Called us back within minutes of initially contacting him..still waiting for other the handymen to return our calls. Professional, tidy, courteous, prompt, reasonably priced, does great work! Don’t waste your time with anyone else.. just call Gary…he’s the man!! My landlord is so bad at fixing things that are in need of repair that I just hired him and submitted the bill to my landlord. I am a female living alone and felt intimidated bringing a guy in my home that I didn’t have any clue who he is, but worry not! He is professional, clean, quick, thorough and really nice! I’ve used him a couple times now. He replaced my deadbolt lock that actually fell out of my door as I tried to get in, clogged tub, leak under my kitchen sink, replaced my unique bathroom light bulb and miscellaneous other things! Call Gary, you will be happy you did! Fixed leak under sink, repaired light in bathroom, repaired faucet in bathroom, changed lock on outside gate and repaired garage door lock. 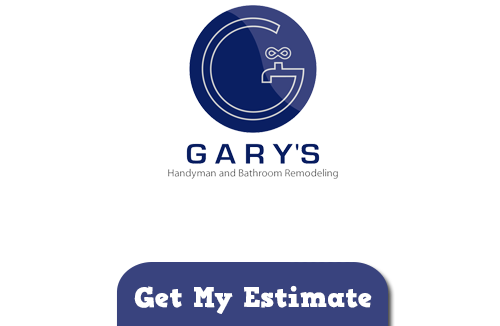 Gary was punctual, efficient, and did great work for the price. He has a variety of skills. If you are looking for a Expert Remodeler in Chicago then please call 847-800-4279 or complete our online request form.